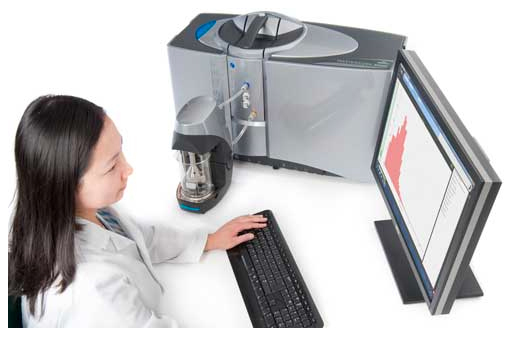 Malvern Instruments has recently released the Mastersizer 3000E, for entry level laser diffraction particle size analysis. To find out more about it, and listen to Paul Kippax talk about how to measure particle size using laser diffraction, view this webinar. Jack Eloranta of Eloranta & Associates stresses the importance of timing a blast properly. “It may take days or weeks to drill out a pattern and loading might take hours or days. But, the time span that really matters is the interval from the detonation of one hole to the time the adjacent hole fires. “Modern detonators have revolutionised blast timing. Not only has precision improved by an order of magnitude, but complete flexibility is now a reality. If you want 1 ms or five seconds of delay – just dial it in. So, with timing solved, it is time to focus on other more pressing blast design problems – right? Not quite so fast. Just because the technology is available, it doesn’t mean the understanding has caught up. “Recent laboratory work by Katsibanis1 and computer modelling by Preece2 have confirmed that the window of opportunity is narrow. Their findings seems to reconfirm the work of Rholl and Stagg, done for the US Bureau of Mines3 in 1987 that “fragmentation improves above 3.3ms/m and is adversely affected below 1 ms/m or above 26 ms/m”. There is, as well, a great deal of speculation regarding the interaction of shock waves. However, there is little supporting evidence as to the benefits of colliding shock waves. the adjacent hole must fire. When the time is too short, the late work of the first hole is stopped and the full potential of creating a fracture network is not achieved. Conversely, when the delay time is excessive, the second hole is shooting into a fractured rock mass with openings between fragments. In the extreme case, shifting occurs which may result in offsets and cutoffs of the powder column. Such disruptions may be much more prevalent than previously thought. Research by Rodgers and Lee4 indicates that stemming decks may need to be at least 10 diameters in length (as opposed to the old rule of thumb of six diameters). This means that that a blaster who is experiencing offsets may not necessarily be finding un-shot powder in the muckpile. Powder can be consumed via deflagration rather than detonation. Such low order combustion has been shown to contribute to nitrous oxides and orange smoke. Further evidence of offsets lies in VODR (velocity of detonation recorder) data. The success rate for capturing detonation velocity in the field is low. The initial hole in a pattern is often the only clean record. WipWare says that with the introduction of WipFrag in 1986, it “became the industry leader in optical granulometry of fragmented material. Since that time, the company has built a global reputation for excellence in software innovation and design.” With WipFrag, Momentum, Reflex and Solo; WipWare continues to provide customers with innovative solutions to optimisation and automation needs. With innovative fragmentation analysis technologies, companies are now able to establish blast consistencies, and can track relative changes in ore size, based solely on the data provided from these systems. The results include reduced maintenance costs, improved blasting procedures, and increased throughput. Gyratory crushers are typically adjusted every five to seven days depending on the operation. Now, companies are focusing on real-time fragmentation data, and using key performance indicators to determine how much downtime and maintenance is necessary when gapping. b) The crusher is being gapped too often when it is not required, allowing for less downtime. Further into the comminution circuit, being able to adjust the SAG mill feed based on realtime data has allowed operators to optimise the size of material going into the SAG. This, in return, has increased the throughput at many operations worldwide, and has reduced liner wear significantly. I-Blast is blasting simulation engineering software to help optimise results without delaying the blasting process. The DNA-Blast model provides a “holistic” and realistic model of rock breakage, and consequently of fragmentation distribution size, taking into account all key parameters involved such as geology, explosive features, drilling pattern and timing sequence. DNA-Frag is a paradigm shift in fragmentation simulation versus traditional purely statistically-based simulation tools. Furthermore, the DNA-Blast model enables a new proven approach and sets a new standard in blast design, thanks to its fragmentation module and its new simultaneous simulation capability for vibration, air blast, fly-rocks and muck-pile shape. Multiple blast scenarios can be run before selecting what should be the most effective combination that best suits operational objectives. DNA-Blast allows a seamless quantification and size estimation of the fragmentation and delivers a size distribution of rock either in a muckpile or on a conveyor belt, for a considered hole or for the whole blast, thanks to a unique image compilation feature (see the bottom part of the screenshot). The DNA_Frag module, takes into account all the field data at hand to accurately predict blast results – real burden and spacing face geometry, rock mechanics characteristics, explosive hole loading, angle and co-ordinates, explosive characteristics and behaviour. The DNA-Frag module shows an average 90% accuracy in the prediction over recent years. Complete muckpile screening campaigns even show these figures to be somewhat underestimated, says the French inventor of the technology, Dr Thierry Bernard. The DNA-Blast Energy Optimsation Module was integrated into I-Blast in early 2011 and adds a decision aid tool that simulates all the possible initiation sequences in your configuration, pinpointing the sequences that best optimise the energy inside the blast. a Far field analysis, an average number of holes per row and an average number of rows are considered to give you the best trend for Inter Row Delay and Inter Hole Delay. Relying on a Near field Signature, the module takes into account blasting pattern configuration, the x,y,z hole location, the number of holes, hole loading and configuration. It provides the optimum timing sequence among a screened range of Inter Hole delay and Inter Row Delay. The yellow areas show where the amount of wasted energy is minimized outside the blast. Selecting the corresponding delays will optimize your blast which results in less vibrations and a better fragmentation. A 35% drop in excavation and comminution costs through the application of optimised timing has been reported by one North American open-pit mine. “I have successfully used I-Blast at over 35 sites and over 500 blasts and the software performed as expected with vibration, air overpressure, and fragmentation results occurring as predicted”, says John Babcock, Executive Technical Director at South Technical Services, based on his experience in providing engineering and advanced technical services to the quarries of the East Coast of the USA. The three most important factors in blasting are drilling, drilling and drilling, according to BME. Expecting explosives to provide totally satisfactory results when preparation and drilling on site has been poor is not only totally unrealistic, but can also be expensive. The result of poorly drilled blast sites is a substandard outcome, poor fragmentation and ultimately lost production, says Tony Rorke, Director of Blasting Technology at BME, one of South Africa’s leading suppliers of explosives. ■ To request the application of electronic detonators to improve blast results at sites where poor drilling quality is endemic. The significant benefits when using accurate electronic detonators are completely overshadowed by poor drilling quality. Most commonly, however, is the claim that drilling is not the problem. “I am often told that high bottoms are being experienced on blasts and that it is the explosives, the blast design, the initiation system or both the initiation and blast design that is at fault. Unfortunately, this is rarely true. Poor drilling quality or inappropriate drilling patterns are usually found to be the heart of the problem,” says Rorke. The causes of poor blasts are many and can range from poorly trained drilling crews and drill foremen, through to teams working with an insufficient number of drill rigs and having to work under pressure to try and maintain production rates. Other factors that have a negative impact on drilling results can be drill rig fleets that are inappropriate for the mining geometry or rock in an area and difficult environments where drilling quality and measurement is difficult. This scenario is most common where handheld drilling is required in narrow stopes or development ends. “I am often asked when on site what the sources of errors in drilling are,” says Rorke. Summarised they are distances between holes. Holes drilled too close together result in overfine rock fragmentation. Explosives in nearby unfired holes may become damaged and not detonate properly or it may detonate sympathetically impacting on the quality of fragmentation. “Most common are holes being drilled too far apart resulting in coarser fragmentation and high floors. This is particularly the case in harder rock.” Other problems are collaring caused by the drill operator drilling in the wrong place due to a number of reasons. Angle errors result in off line deflections, most common in smaller diameter holes, or the boom of the drill rig being set at an angle different to the desired hole. Hole depth is another problem; short holes result in high floors or capping, or holes that are too deep cause damage to rock below and result in drilling problems in the following bench. Hole positioning where holes are often drilled into badly damaged rock from previous sub-drill damage. “Very often, sub-drill damage is so high that a re-drill is impossible and the area ends up without a hole. Missing holes have a very deleterious effect on floors and fragmentation in a blast,” says Rorke. Hole diameters influence the dispersal of energy and result in either “explosive energy starvation” or “excessive energy” that lead to rock damage and a risk of under-filling. “Small variations in diameter have a very significant impact on energy in a blast, especially in larger diameter holes. Again there are many reasons for these errors occurring,” he says. “Drilling needs to be given high priority in the production cycle and should not be treated as a basic operation where operator training is minimal and inexperienced foremen are used. Explosives and blast timing cannot correct poor drilling. Poor drilling will result in bad blast results, he concludes. Of course stemming blastholes can help. Varistem says its system “reduces processing costs, with the Varistem achieving up to a 25% increase in fragmentation. Studies also show the Varistem can reduce blast patterns by 10% or greater and achieve the same fragmentation for major savings in drilling and explosive costs.” (See IM March 2011). The current DFM system is running on 12 production drills. It receives pattern layout and is capable of semi autonomous drilling over the entire district. The fleet is capable of drilling in highly altered intrusive units and hard granites through the range of sedimentary and volcanic units at Morenci. The system brings a level of accuracy not achievable with earlier paint-marked patterns. Depth control is also increased along with more consistent wear and maintenance patterns due to semi-autonomous drilling. The SFA captures images of active dig faces for all large production shovels. Owen explains that “the images are manually cleaned of unusable images and automatically processed. This data is stored on a database where each image is collated to a GPS coordinate of the location where the image was taken. This combination of information has increased the ability to systematically judge fragmentation results. “The SFA reporting allows for very detailed feedback on blasting performance while the DFM allows for blastholes to be placed within a half-diameter error of design. The other parameters necessary for blast design and reconciliation are also captured to create a full process map. This data includes bulk explosives information, detonation details and accessory utilisation. These items are combined with theblasthole location from the DFM to give precise kilocalorie calculations and high explosive tracking. He concludes that this integration “improves the ability of blasting to respond to geotechnical, economical and safety issues with high precision. Blast testing conducted under this blasting model has the advantage of quick data analysis with more detailed results. This ability to see impact on multiple variables with less time allows for greater integration of these test results into the production environment. By fully integrating these blasting aspects, blasting performance will better suit both upstream and downstream processes. “The ability of each aspect of the mining process to adapt in a timely manner to evolving needs is critical. This integrated blasting model allows blasting costs and results to vary as the mine progresses. As mines are expanded, steepened and new mines are designed, geotechnical parameters become more important. Integrated data allows the blast model to build correlations between geotechnical parameters and their impacts on both blast performance from a processing standpoint and highwall stability standpoint. This information then allows the blast design to be best optimised for the current economic situation. The ability to move blasting results to adapt to economic situations means real cost savings with minimum lag time. “Near-real-time reporting and complete data analysis ability are critical when evaluating the safety concerns associated with blasting. The energy expended with each blast is a key concern with every pattern. Inability to control energy adversely affects blast results and may put personnel and equipment in harm’s way. By reviewing the design and actual blast parameters of each blasthole, it becomes possible to analyse well-shot blastholes and less than optimal shot blastholes to evaluate what parameters can be optimized. Blast video along with recognized success or failure is less effective without good data collection to analyse. “Understanding the interaction of each variable involved in the outcome of a blast is a daunting prospect. The amount of data that can be collected on each blasthole, for each blast pattern, on each bench, for each pushback in every corner of a mining district is immense. The need for a robust and manageable database is crucial. The information must be integrated quickly and with confidence. The information then should be accessed in a clear and concise manner. The integrated blast model facilitates this with ability to grow as technology is advanced and becomes available. “The upstream and downstream process improvements are still being realised. Each mine site may have different requirements, and the requirements may change as equipment is changed. Blasting can accommodate crusher throughput limitations, contributing to the mass reduction from the initial blast. This can easily be evaluated from a cost standpointallowing for the money to make the largest impact: more crusher capacity or more money spent in the initial blast. In leaching operations the reduction of ROM material may realize immediate and significant profit increases. From total recovery to recovery times, the size of material in a ROM leach pad is very influential. In milling processes the ability to impart micro-fractures and small initial input size can greatly reduce the energy and time requirements to realize particle size. Waste material may not require small size fractions, but fragments that are too large may cause unnecessary damage to equipment or loading hardships for personnel. By optimising these and many more downstream processes it may be possible to reduce or streamline the types and amount of blasting products purchased. Improved maintenance may reduce work hours required to keep equipment running and increase production. K. M. Kim, of ASARCO (Grupo Mexico) and J. Kemeny, The University of Arizona, reported on Site specific blasting model for mine-to-mill optimisation. This blasting model has been developed for the Asarco Mission mine. “The main inputs to the model are the in-situ block size (F80), the post-blast fragmentation (P80) and the intact tensile strength (To). The output from the model is the specific blast energy (ESE). Modern techniques are being used to obtain the input parameters for the sitespecific blast fragmentation model. In particular, image processing software is used to obtain both the in-situ block size and the postblast fragmentation, and the Schmidt hammer is used to obtain the tensile strength at numerous locations throughout the rock mass. An initial model was developed using five test shots in one area of the mine that contains Argillite and is relatively homogeneous. This also included calibrating Schmidt hammer readings against actual Brazilian tensile measurements. The model for Argillite will be updated as more tests are conducted, and the model will be extended to the other four primary rock types at the Mission mine. “The purpose of the site-specific blasting model is to optimise blasting for total cost or total energy, including downstream comminution and mineral extraction. In general, increased explosive energy will result in finer fragmentation and increased rock damage (microcracking). Thus, even though the drilling and blasting costs may increase, the total mine-through-mill costs will decrease. There is a limit, however, and there is a point at which further increases in drilling and blasting costs will increase rather than decrease the total cost. The site specific blasting model developed in this paper can be used to find that optimum point. Better fragmentation through team work at Dos Pobres mine, Safford, AZ, by D. Brandt et al, considered this a copper oxide heap-leach mine where, as mine depth increased, “the proper fragmentation size became harder to achieve due to less weathering and different rock types. Because copper recovery increases as crusher product size decreases, achieving the appropriate product size at the crusher is the operating priority. When evaluating the effectiveness of a blast, it is important to obtain the rock fragmentation results as close to the blast as possible to prevent inaccuracies due to handling of the material. Motion Metrics International‘s FragMetricsTM solution provides rock fragmentation analysis from the shovel bucket, which is typically where the first stage of material handling occurs. The images used for fragmentation analysis are automatically captured using a rugged camera installed on the top of the boom of an electric rope shovel, or on the stick of hydraulic face shovels. Specially designed brackets position the camera to have a clear view of the bucket during operation and help to isolate against shock and vibration. The embedded computer, installed in the operator’s cab, tracks the bucket as the shovel is in operation, and automatically logs images of the contents. Advanced real-time image processing algorithms are used to filter the images based on image quality and bucket contents to select only the images suitable for fragmentation analysis. A collection of images are sampled through the face as the shovel excavates to provide a representative fragmentation measurement. The logged images can then be accessed over the mesh network or directly via the on-board industrial-grade CompactFlash card. Motion Metrics offers two options to perform the fragmentation analysis; a standalone tablet computer, FM-Tablet, or a service contract-based agreement, FM-Service. The FM-Tablet provides the tools to process and review the analysed fragmentation results, and generate automated reports, in a compacttablet computer. This option is favoured for performing routine assessment and maintenance of blasting performance. The FMService employs Motion Metrics specialists to perform the processing and reviewing of fragmentation results to provide fragmentation reports. This option has been popular for mines that would like to perform a third-party assessment of a blasting consultant, or carry out a study on the effects of blast fragmentation on a particular mine process. Blast fragmentation has far-reaching effects on the performance of equipment and processes throughout the mine. Fragmentation affects the looseness or diggability of the bench face, which influences excavation efficiency, while the throughput and energy costs of primary crushers are directly related to the input feed rock sizes. To provide a more comprehensive collection of information, the fragmentation data can be correlated with data from other Motion Metrics shovel solutions. For example, correlating the fragmentation data with the shovel tooth wear data from WearMetricsTM and shovel productivity information from LoadMetricsTM, allows the mine to monitor the relation between blasting and shovel operation efficiencies to optimise future blast practices. A Queensland innovation in electronic blast detection received Australian recognition for excellence in the application of Information and Communication Technology (ICT) at the iAwards. Judges sited the BMM system’s use of innovative technology, ease of application and its potential to significantly reduce ore loss and dilution at any open-pit mine that uses selective excavation. With mines routinely recording a 5 to 20% loss of valuable mineral in every blast, BMMs already save mining companies tens of millions of dollars per mine every year. The inventors of the BMMs formed a company, Blast Movement Technologies (BMT), to commercialise the combined hardware and software grade control solution in 2005 after conducting initial research at the University of Queensland. Since then, the prototype has been transformed into a robust commercial product now used in mines across Australia and in more than 10 countries around the world. The BMM system works by placing hardened transponders into drill holes in an orebody prior to blasting. After the blast a portable detector is used to locate the new position of the markers, thereby determining the movement vector of the blasted ore. Ore has often moved more than 10 m.
Once downloaded to BMT’s proprietary software the information is quickly and easily transformed into accurate, 3D movement vectors, redefining ore boundaries, and enabling the most precise identification of ore and waste available to the industry. BMT claims. BMT Director and Principal Consultant Darren Thornton said the award was a highly valued recognition of the quality of this advanced system. “The team at Blast Movement Technologies has worked tirelessly to lead the mining industry into an age where the precise measurement of muck pile movement can now have a significant impact on improving mine reconciliation. “When we begin working with a mine we perform a comprehensive evaluation of existing blasting practices while training staff on just how easy it is to use the Blast Movement Monitors. Most mining engineers and senior managers accept ore loss and dilution as a cost of doing business, however they are always surprised by just how much money they are losing by unintentionally dumping high grade ore as waste, and shipping useless waste to the plant for expensive processing,” Thornton said. “All of the mines that we work with have recorded significantly decreased loss and dilution, which translates directly to increased profits. Improved reconciliation of planned versus actual ore grades enables more control of the mining process. “Once the site team is actively using the system as part of its blasting procedures we provide ongoing support and maintenance as required,” Thornton said. 1. Katsabanis, P. D.. Kim, S Tawadrous, A. & Sigler, J. 4. Lee, R. A., Rodgers J. A., &. Whitaker, K. C.